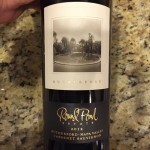 A Paul Hobbs Napa Cab Under $20? I’ve tasted several vintages of the Ahnfeldt Cabernet, and while I always thought it was a solid wine, I never found it particularly exciting… until they hired Paul Hobbs. Hobbs is the Cabernet master (along with Chardonnay, Pinot Noir and Malbec). Somehow every wine he makes, or consults for, turns out great. At $19.95, this has to be the greatest value in Napa Cabernet. 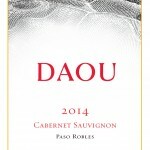 Paul Hobbs is probably best known for his own label which produces Cabernet starting at $75 for the Napa Valley bottling and going up to $250 for the To Kalon Vineyard bottling. The other part of Hobbs’ business is consulting for several wineries from California to Argentina. 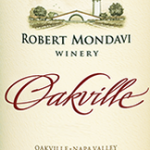 Wineries lucky enough to acquire his consulting expertise usually experience dramatic increases in the quality of their wines. Unfortunately, customers also see increases – in price. Ahnfeldt certainly got the increase in quality, but not price. At least not yet. This rich, dense and incredibly aromatic Cabernet is being sold for $19.95 – $6 lower than the next lowest price in the country according to Wine-Searcher.com. 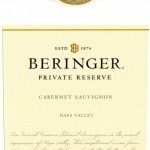 I’ve been pretty unimpressed with virtually every Napa Cab I’ve tasted in this price range. In fact, the last one I wrote up was November first of last year. Well, consider me impressed – and a repeat buyer. This wine is on par with many $50 Cabernets. I guess that’s just the Paul Hobbs effect. Don’t forget to mention “Nickel and Dime Wine $25 Shipping” in the notes for $25 flat case shipping! Details here.